ATLANTA, GA — Switch (NYSE: SWCH) the global technology solutions corporation that is powering the future of the connected world®, today announced that construction is underway at the company’s more than 1 million square foot, Tier 5® Platinum PRIME data center campus in Atlanta, known as The Keep Campus. The project is made possible by the Georgia General Assembly’s passage of House Bill 696, referred to as the “Switch Bill,” which was signed into law today by Governor Nathan Deal. HB 696 modernizes Georgia’s data center tax policy to allow the current tax exemption to apply to hyperscale colocation facilities with a minimum investment of $250 million. The legislation also encourages data center development in rural areas based on population to expand technology infrastructure across all of Georgia. 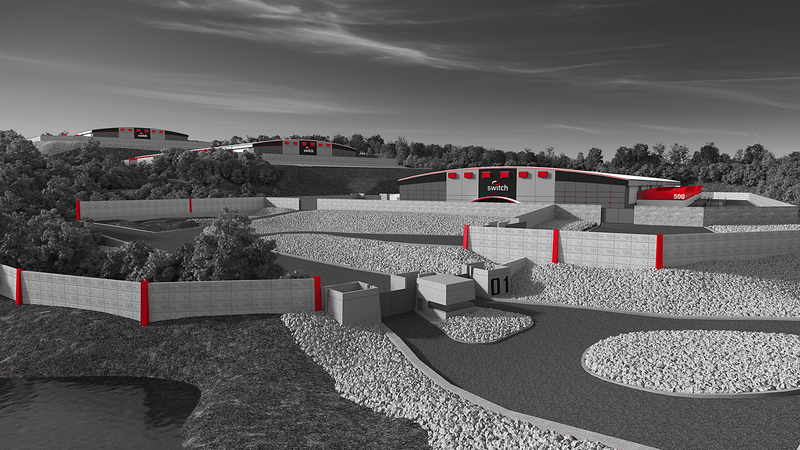 Once constructed and operational, The Keep Campus in Atlanta is expected to be the highest-rated data center ecosystem in the Southeast region. Atlanta will serve as a Switch PRIME hub for the Southeastern United States. Switch’s clients include Amazon, eBay, Shutterfly, FOX, News Corporation, Amgen, Lionsgate, Zappos, Intuit, DreamWorks, Intel, MGM, HP, PayPal, Hulu, Boeing, Time Warner Cable, Warner Brothers, Verizon and hundreds more. Switch is employing its long-held practice of hiring local workers to build The Keep Campus, from site preparation throughout the development of the massive project. Hundreds of additional local workers are expected to be employed at the site for Switch and their clients during the project’s build-out. As part of its long-standing commitment to being a leader in sustainability, Switch is also working with Georgia Power to ensure its campus uses 100 -percent green energy from new, local and renewable energy resources. Switch (NYSE: SWCH) the technology infrastructure corporation headquartered in Las Vegas, Nevada is built on the intelligent and sustainable growth of the internet. Switch founder and CEO Rob Roy has developed more than 500 issued and pending patent claims covering data center designs that have manifested into the company’s world-renowned data centers and technology solutions. This press release contains forward-looking statements within the meaning of the Private Securities Litigation Reform Act of 1995 concerning Switch and other matters. All statements contained in this press release that do not relate to matters of historical fact should be considered forward-looking statements, including, without limitation, statements regarding Switch’s expectations regarding the construction of The Keep Campus and Switch’s hiring plans. In some cases, you can identify forward-looking statements by terms such as ‘‘may,’’ ‘‘will,’’ ‘‘should,’’ “estimates,” ‘‘expects’’ or ‘‘plans” or the negative of these terms or other similar expressions. Forward-looking statements involve known and unknown risks, uncertainties and other important factors that may cause Switch’s actual results, performance or achievements to be materially different from any future results, performance or achievements expressed or implied by the forward-looking statements. You should carefully consider the risks and uncertainties that affect Switch’s business, including those described in its filings with the Securities and Exchange Commission, including under the caption “Risk Factors” in Item 1A of Part I of Switch’s Annual Report on Form 10-K filed with the Securities and Exchange Commission on April 2, 2018. These forward-looking statements speak only as of the date of this communication. Except as required by applicable law, Switch does not plan to publicly update or revise any forward-looking statements, whether as a result of any new information, future events or otherwise. You are advised, however, to consult any further disclosures Switch makes on related subjects in its public announcements and filings with the Securities and Exchange Commission.